Happy New Year! 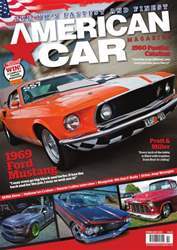 We're starting 2015 as we mean to go on, starting with an unmissable Pro Street '69 Mustang that's heading for Pro ET. Or a sweet, California custom '60 Pontiac Catalina, now cruising the UK and dodging the speed bumps. 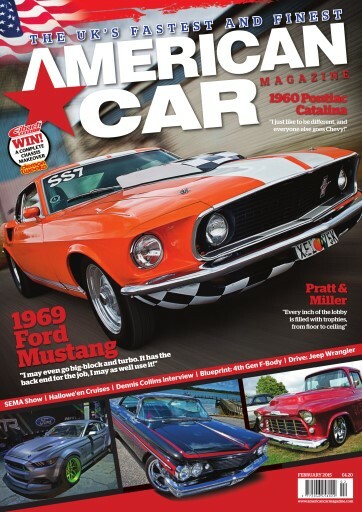 We're also privileged to have a peek behind the curtain at Corvette Racing gurus Pratt & Miller, we look at Fast'n'Loud's Mr Moneybags, Dennis Collins, catch up on the last of 2014's end-of-season shows and much, much more in the February 2015 issue of American Car Magazine, out now!